Our kids love Minecraft, they've tried to teach me and Sam how to play but were both useless at it (Sam more so than me). 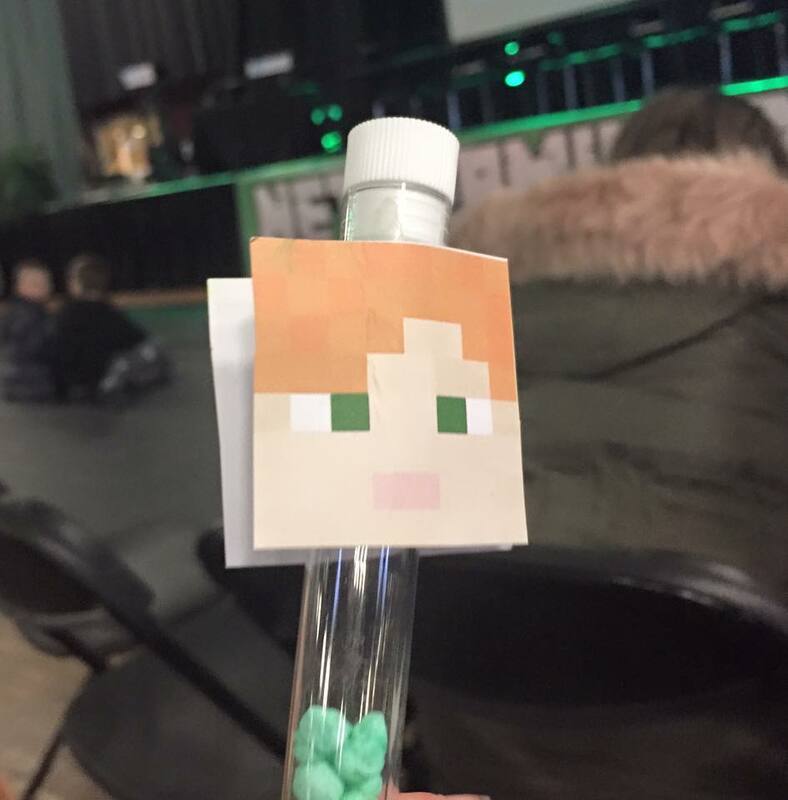 Today we went to NetherMined an unofficial Minecraft event at Northumbria University. Sam had told me a little bit about it before we went, I wasn't expecting it to be busy but when we got there the queue just to get in was huge, I had to take a panoramic picture just to fit it all in. Although the queue was big and it was freezing cold we didn't have to wait too long to get in a had a chat about the kids favourite things about Minecraft. 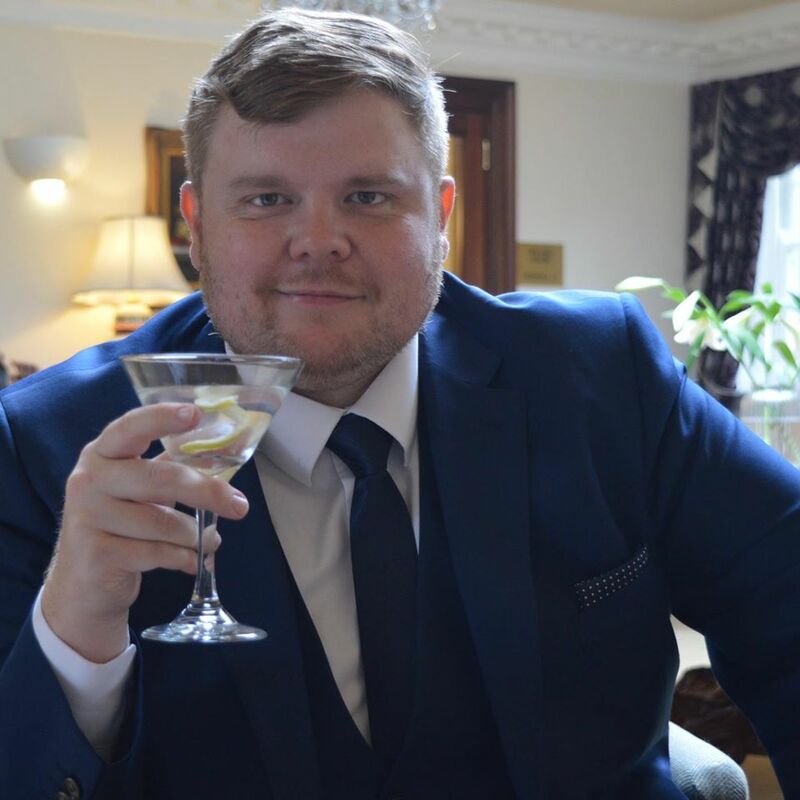 The tickets to get in are £15 each which I don't think were over priced however i did think it was a bit stingy to charge and extra £1 to buy and 'Event Guide'. Once we got to the front of the queue and showed our tickets and got our wristbands it was time to meet 'Steve'. If you don't know Steve is the main guy you play as in Minecraft the kids loved meeting him and were excited to get a pic with him. Inside, the Event was held over 2 floors the 1st floor had a bar called Reds in which you could get a drink or some food whilst there were several guest speakers discussing various subjects. We listened in to the Building Panel which consisted of False Symmetry, Dangthatsalongname and Emtronvenger. The kids listened intently to the panel but it all went over my head if I'm honest. 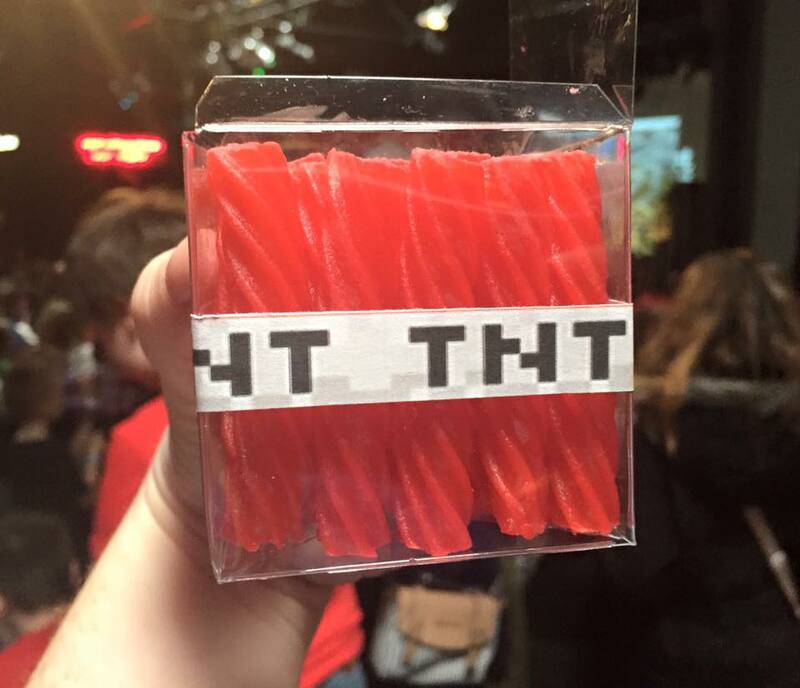 We then had a look around the merch stalls and the kids bought a few Minecraft related sweets. We then took our seats in the 'Domain' room and waited for the next guest speaker panel to start, this was a Q&A by False Symmerty, Phoenixgg2 and Sir Cutie Yuki a lot of children in the audience were asking questions about being a YouTuber and Harry in particular was interested in this as he has his own YouTube channel and wants to be a YouTuber when he's older. When the Q&A was over we decided we'd had our fill of Minecraftiness and headed home for lunch. We all had a good time especially the kids. Spoiler Warning! A Midsummer Nights Dream.